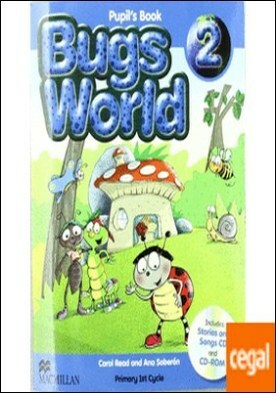 BUGS WORLD 2 Pb Pk (new C) por Soberon, A. / Read, C.
BUGS WORLD 5 Ab Pk por Soberon, A. / Read, C.
BUGS WORLD 1 Pb Pk (new C) por Soberon, A. / Read, C.